Blue and white combination is my favorite for summer. I probably wear the blue shirts way too often, and some people might think I don't change my clothes at all. Oh well! The most recent addition to my wardrobe is this Zara blouse which feels like you are wrapped around in a silky cloud. It's that good! I really like the simply lines of the outfit, but they are perfect! The blue and white combo is so pretty and refreshing. 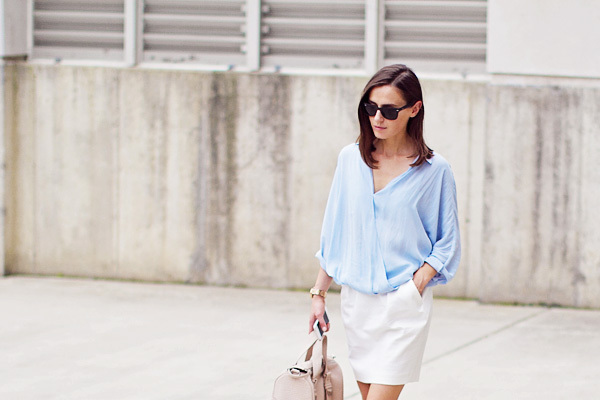 I love that Zara blouse and your neutral heels. You look gorgeous! Effortless chic! I agree about this color blue! I also have the same color shirt from ZARA but different style and I am in love with it! I am the same, if I love a piece of clothing I wear it over and over again! Have a great weekend as well! It's amazing when we feel different wearing an item... That blouse must be something special! Love the entire look, perfect for summer. I soo love your outfit. I like how classy your outfit is! 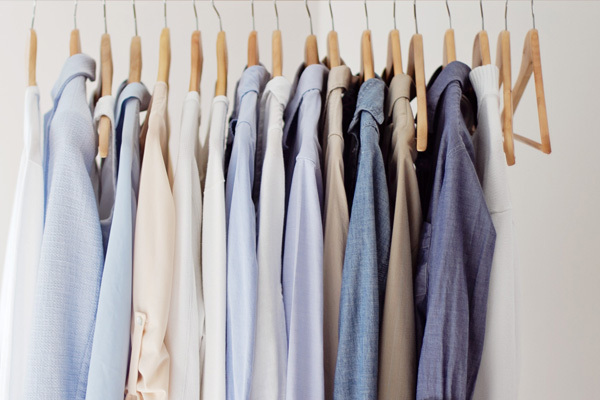 You can never have too much blouses. So beautiful, adore your outfit! i wish you would post more often... i absolutely love your style. I have to recreate this! I love your pictures. They are always very delicate and lovely. I´m curious, what program do you use to make that brighted effect? And what camera do you use? Thank you very much, Evainny! I use Canon 7D, for the brighted effect I just add brightness! Not too much though, otherwise it'll look overexposed. Absolutely stunning, El. I love your pale shades. That outfit is just spring perfection ! You have terrific & timeless style....glad to have found you via IG!! The outfit looks so clean, fresh and "airy"! Love your style. Your shoes and handbag are amazing! I'm so in love. I absolutely love your effortless clean chic. so perfectly put together girl! You are looking lovely. Simple and sober. I like your sandals and handbag. The same color of both is making a great combination. If you want to get the best out of life, think positive. Because, your mind will affect your actions.